Beijing is a city where there's virtually an app for everything, from buying groceries, to checking the metro timetable, to monitoring the air quality. Whether you're new to Beijing or are a long-time Beijinger, we all need a refresher course on this city's must-have apps. Arguably, the most important app you'll need is a wall-jumper, but luckily for you, all the ones that follow don't need a jumper to make your Beijing life just that little bit easier. WeChat is known as the super app of the Chinese online sphere. Not only is it the primary instant messenger app the entire country uses, once you've connected a Chinese bank account to your WeChat, it's also an easy and safe method of cashless payment. The social media function, WeChat Moments, allows you to follow businesses and friends to keep up to date on what's happening in your community. You can also share what you are up to on WeChat Moments with contacts and add to your Time Capsule, a new feature similar to Snapchat and Instagram stories. One of the more entertaining features on WeChat is the stickers section. These tiny animations perfectly capture any mood or message, and you can even make stickers of yourself (click here to learn how). In addition, WeChat also has a brilliant built-in translation function. Simply take a photo of Chinese text or press on any given instant message and choose the translation function. Simply put, if there's one app you download prior to coming to China (besides a wall-jumper), it's WeChat. In terms of finances, every WeChat user has a customised QR code, which is what vendors scan to collect money. In the Money section, you also have a specialised QR code to receive money and a feature to split bills, making dining with friends easier than ever before. Alternatively, you can also message and receive money directly from your mates, so there's no longer any more excuses for IOUs. In the Wallet section, you can top up your phone credit, pay bills and even share a bank account with family members. 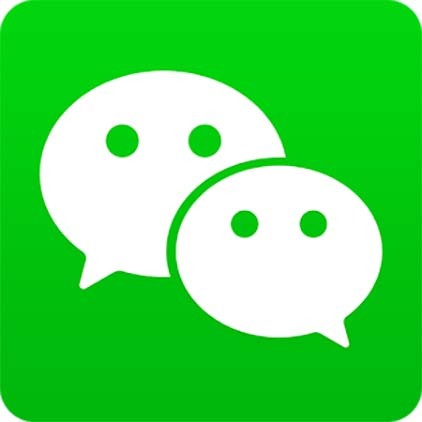 There are also third-party apps connected through WeChat which allow users to purchase goods in their area – from cinema tickets to hotel rooms to taxis to train and flight tickets – for a discounted price. Alipay is most useful for large purchases and international bank transfers as the app can be linked to a foreign bank card and can also be used outside of China. However, transferring money to friends within China is usually easier on the ubiquitous WeChat. There are benefits to using Alipay instead of WeChat within China. Some restaurants and shops have special discounts for Alipay users, but most importantly, you'll also need an Alipay account to shop from the website of wonders that is Taobao. Either way, it's a good idea to have both WeChat Pay and Alipay downloaded on your mobile device to be ready for any situation. Previously featured as 'App of the Week' on iTunes, the BBC and CNN, Xe Currency Converter allows users to both convert and monitor live currency rates all in one place. Other notable features include access to historical charts for any currency pair and the ability to use the app offline. Baidu Maps has it all, from voice control to remote car-wash requests, to up-to-date traffic conditions. The interface is only available in Chinese but certain points of interest can all be searched for in English. 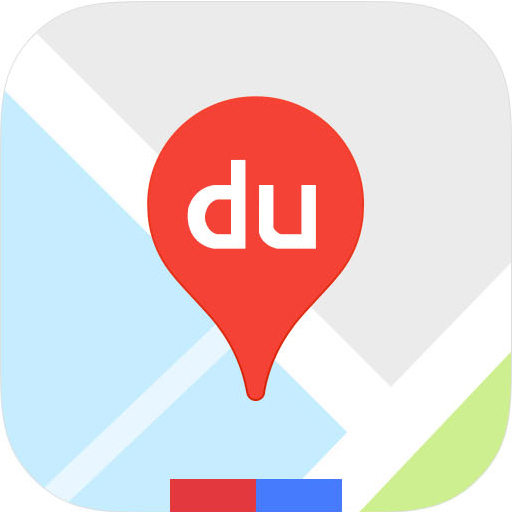 Click here for a guide to Baidu Maps. Pleco is unique in that it is a free, extensive, online English-Chinese dictionary. It's also a lifesaver for when you see a particular Chinese character but don't know its pronunciation or meaning – simply draw the character on your keyboard and find out. Unlike other translation and dictionary apps, Pleco gives all the meanings of each character, allowing you to properly understand its meaning in context. The paid app includes a camera function, fullscreen handwriting, handwriting and tone drills, diagrams and customisable dictionaries. If it exists, it will be on Taobao. Full stop. You can buy virtually anything – from pimped out rain gear to a snack bowl with phone grooves – with just one tap. However, as Taobao is owned by Alibaba, you'll need to have an Alipay account to buy all the weird and wonderful (and practical) things Taobao has to offer. Use Jingdong Daojia for everyday essentials, from medicine to convenience store goods to fresh fruit. Delivery from international supermarket April Gourmet is also available. Unlike regular Jingdong delivery (which generally takes about a day), Daojia can deliver within one to two hours, making it ideal the next time you have a culinary emergency – just expect to pay more for the privilege. As the Beijing's Subway's official mobile payment app, you can use Yitongxing to access the metro simply by scanning a QR code on your phone – no metro card needed. To use Yitongxing, simply link the app directly to your payment method of choice – either your bank account (ICBC only, unfortunately), Alipay, JD Pay or WeChat Pay – and Yitongxing will automatically deduct each trip's subway fare from your account. With an average of 10.55 million trips a day, Beijing Subway is the world’s busiest metro system. Unsurprisingly then, it's pretty useful to know the most efficient route from point A to point B. This app will not only show you all your route options but will also tell you how much any given journey costs and how long it will take, as well as giving you a full map of the Beijing metro. Furthermore, you can use this handy dandy app whenever you travel throughout the region, as it offers you the choice of 33 Mainland cities plus Hong Kong, Taipei and Kaohsiung. With coverage in roughly 300 cities and over 500,000 taxis around China, you'll almost never be stranded anywhere with DiDi. The app has taxi options fit for all budgets, from normal taxis to DiDi premier vehicles. If you're fluent in Chinese taxi talk, the Chinese version is built into WeChat. If you're not, you can download the DiDi app and use the English version. English language typers can also message their driver in English and the app will translate the message for the driver, and vice versa. Shouqi Yuechue is DiDi’s high-brow cousin offering the same convenience for chauffeur services. The in-app messaging automatically translates between English and Chinese making it easy to communicate with the driver. As the world's largest mobile bike operator, it's hard to find a street corner in Beijing that doesn't have an orange bike parked on the curb. Pricing starts at 1RMB for the first 15 minutes, with an additional 0.5RMB for every subsequent 15 minutes. Though you may sacrifice your comfort if you rent an old bike without an adjustable seat (new ones do have this feature), you're still getting around at a bargain price. In order to register, you'll need to take a photo of yourself holding your passport and wait 24 hours for confirmation before rolling around town on your new orange wheels. And unlike when Mobike first started, new users no longer need to make a deposit to use the service. Founded in 2014, Ofo is Beijing’s OG bike sharing app. Despite financial strains (and near bankruptcy) at the end of 2018, Ofo continues to be a bike share option for Beijingers. That said, sign up at your own risk, as recent reports have users struggling to have their deposits (199RMB) refunded. In comparison to Mobike, each Ofo trip also starts at 3RMB (a not inconsiderable mark-up). New users must also register with their passport upon signing up. As Ctrip's English-language app, Trip.com allows you to book hotels, trains and flights all in one place. There are also special offers and deals on all of the above you often can't get anywhere else. Beware that when you first reserve train tickets, they are not confirmed until you receive a confirmation email. If the ticket issuing fails, you'll receive a full refund. Slightly more expensive than its Chinese counterparts, Sherpa’s is one of China’s only English-speaking food delivery services. If you're craving Western food, we recommend using this app since it generally has all the Western options you could want. Beware that there is a 15RMB delivery fee for the first 3km and an additional 5RMB charged for every kilometre after that, but for those of you ordering between 2-5.30pm Mon-Fri, the delivery fee is waived within the 20RMB delivery zone (as long as you spend more than 80RMB). There is also a driver tracking map within the app and if there are problems with your order, a nice English-speaking lady is likely to call you. Meituan is everyone’s go-to food service. You can also deliver your groceries, fruit and medicine. The app shows which shops have different deals, making it easy to save money. Also, since the given shop sets the delivery fee, which is often free, it means that Meituan is a consistently cheap option. Like Sherpa's, a driver tracking map is also available. Essentially, the biggest difference between Meituan and Eleme is that each app offers slightly different stores and discounts. Since Eleme is also a part of the Alibaba Group, you'll need Alipay to use this service. If Yelp and TripAdvisor had a love child with Groupon, it would be Dazhong Dianping. Use Dianping to receive discounts from certain shops and to read reviews from customers (or just look at the number of stars the place has got). Besides restaurants and shops, there are offers for practically anything you can think of in your community (from hotels to cinemas to museums) on the app. Yes, Google Translate is accessible in China. It includes text, speech and instant camera translation. Also, pinyin is handily featured underneath the Chinese text. Can’t understand your taxi driver’s erhua? We’ve all been there. iTranslate includes written and voice-to-voice translation, transliteration and dictionary functions to make life a little easier. The app can also translate text through the camera function. Baidu Translate offers similar services to that of iTranslate and Google Translate, but a noticeably more accurate translation when translating from English to Chinese. We’re not saying it’s a perfect translation, but it often sounds more authentic than its non-Chinese counterparts. Be aware though that Baidu Translate will not translate politically sensitive terms. FluentU will not quiz you to death with dull flashcards and grammar drills. Instead, it will teach you Chinese through pop culture. All videos are subtitled and translated. You can press on every word for a full definition in context. As the 2016 iPad App of the Year in Denmark, Finland, Norway and Sweden and the 2017 Google Play Awards’ Best App, Memrise is not just any language-learning app. Linguists and developers worked together to make language courses that adapt to each learning style. The app has clear graphics to make sure your tones are spot on and mnemonic cues to solidify new vocabulary and grammar. Also, there is a feature to challenge your friends to make language learning feel like a video game. Skritter hones in on one of the most challenging parts of learning Chinese: calligraphy. Though learning how to write Chinese characters can be daunting without the guidance of a teacher, Skritter has made it approachable. The app breaks down the basics of hanzi, from stroke order to placement of characters on a page, in a clear and accurate way. It even tells users where they went wrong. Be prepared for air pollution with official readings from the US Embassy and consulates around China. The app also tells users the key pollutants and what precautions to take to stay healthy. Compare the pollution to different cities in China to around the world. With the Pro version, you can even compare the outside pollution levels to those inside your home. Airpocalypse makes air quality fun... if you can imagine that. The app has a function for users to upload their own photos and add a witty caption to celebrate the good days and get through the bad ones. It also uses the US Embassy's official reading, meaning the AQI is as accurate as possible (for those within the boundaries of its reach).